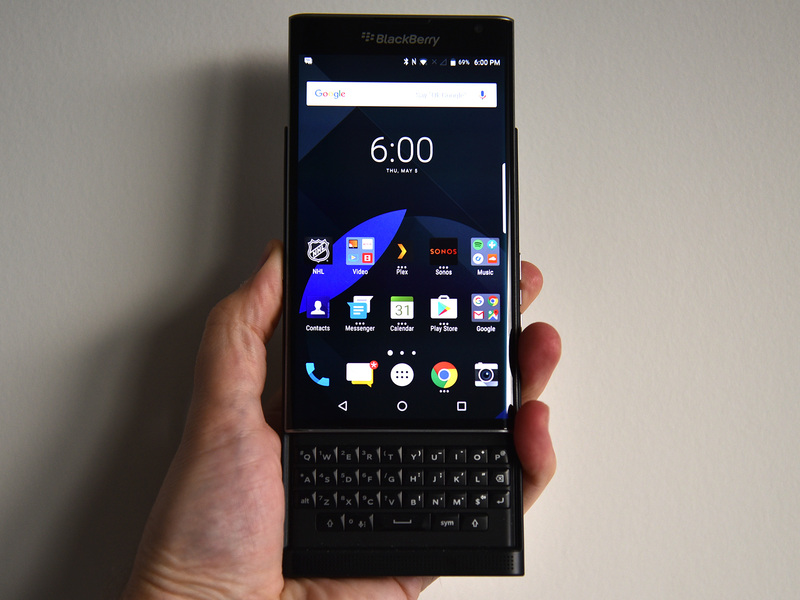 BlackBerry launched its first Android-powered smartphone, the Priv, in Canada on November 6th, 2015. Since this date, BlackBerry has released two other Android devices — DTEK50 and DTEK60 — with plans for the ‘Mercury‘ sometime this year. Now well over a year old, the Priv has seen several price drops and the latest comes from Amazon Canada for $449.99 unlocked, which is a $50 savings from buying directly from BlackBerry. In addition, there is also a Priv bundle that gives a brown case and sync pod for $525. The BlackBerry Priv features a 5.4-inch QHD display, Snapdragon 808 processor, 3GB of RAM, 32GB of internal storage (expandable via microSD card), 3,410 mAh battery and 18-megapixel camera. Update: The DTEK50 and DTEK60 have also been discounted through Amazon Canada, now $405 and $625 unlocked.